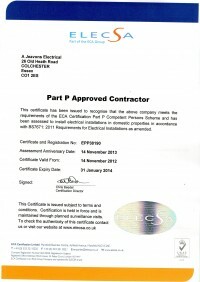 As specialists in electrical installations and repairs, we provide high quality reliable service in colchester and Essex. We give comprehensive and straightforward advice and carry out your installation with the minimum of fuss. We always explain everything and keep to our quote. We have many years of experience in the business and our skilled electrician in colchester guarantee high quality workmanship and professional customer service, before, during and after installation. We keep all areas clean and tidy while we are working and leave them that way when we are finished. 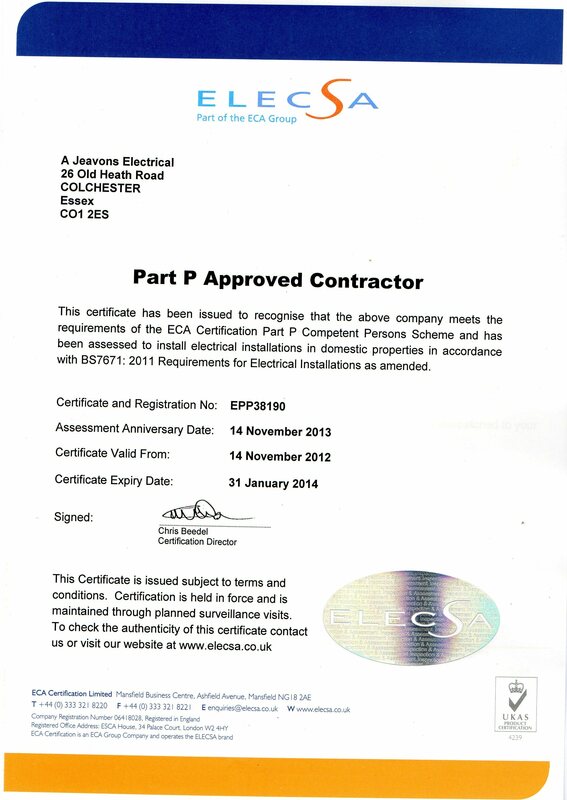 Our electricians are Elecsa registered, and Part P approved to 17th edition. By calling our colchester electrician for your rewires or lighting, you can be sure that a professional job will be carried out to the highest standard.